Ah, it’s January and I started back at the YMCA in the 7:00 AM water exercise class that I have been participating for years. In fact, this class runs MWF and I actually teach the Friday session. It’s a wonderful conglomeration of people, most of us 60 or older. It’s great fun, and good exercise. This Monday, the first class of the new Y session, no one was missing. Pretty much everyone who had ever been in the class was there. 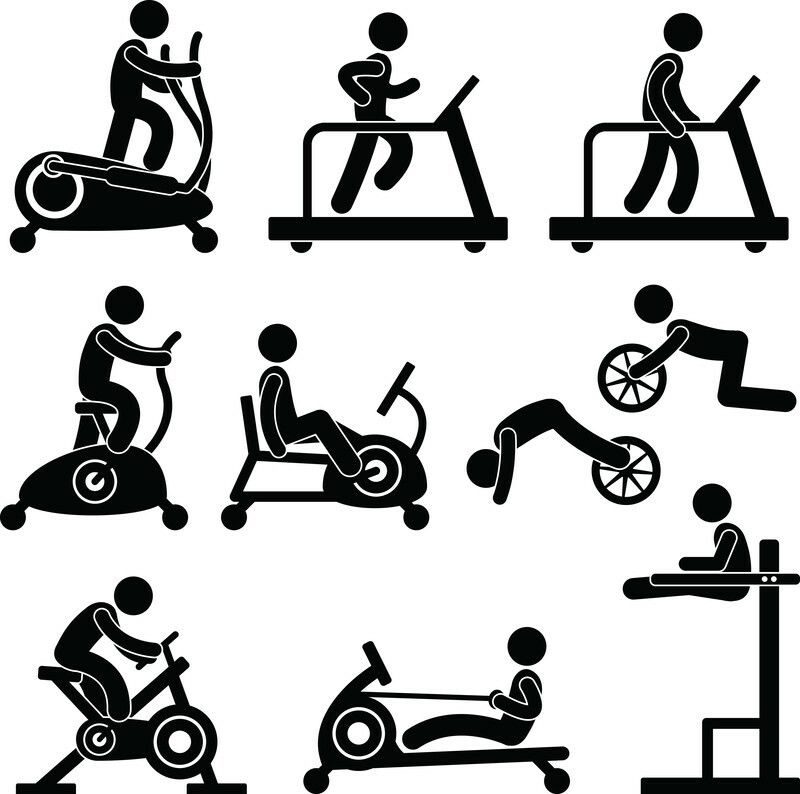 It’s a common phenomenon, the drive to get back to exercise after the excesses of the holidays. This was not a message I welcomed, although I did appreciate it because I knew what motivated it. I took it as kindness, and I know that I need to be doing more weight bearing exercise. The solution has presented itself pretty clearly. Many of the members of the MWF water class gather in the “gold room”, (the fancy locker room) for coffee before class. Some of the members of the class are there as much as an hour early. Being there by six seems a little extreme, but I can easily be there by 6:30. I can walk on the treadmill and still talk to my buddies and get in half an hour of walking before class. The water feels wonderful after walking, and I feel virtuous. It’s a start, but even more important than my buddies in the gold room, or the walking itself, I have a cheerleader. I text my son every time I do at least half an hour on the treadmill He always texts back something positive and encouraging. Exercise is important. In general, we don’t get enough of it. It helps our physical and mental health, but it’s important to have cheerleaders, too. I highly recommend that if, in your New Year’s Resolutions, you have decided to improve your exercise routine, find someone who will exercise with you, or who will text you encouraging things, or someone who is just in your corner as you work on a new regime. It makes all the difference. 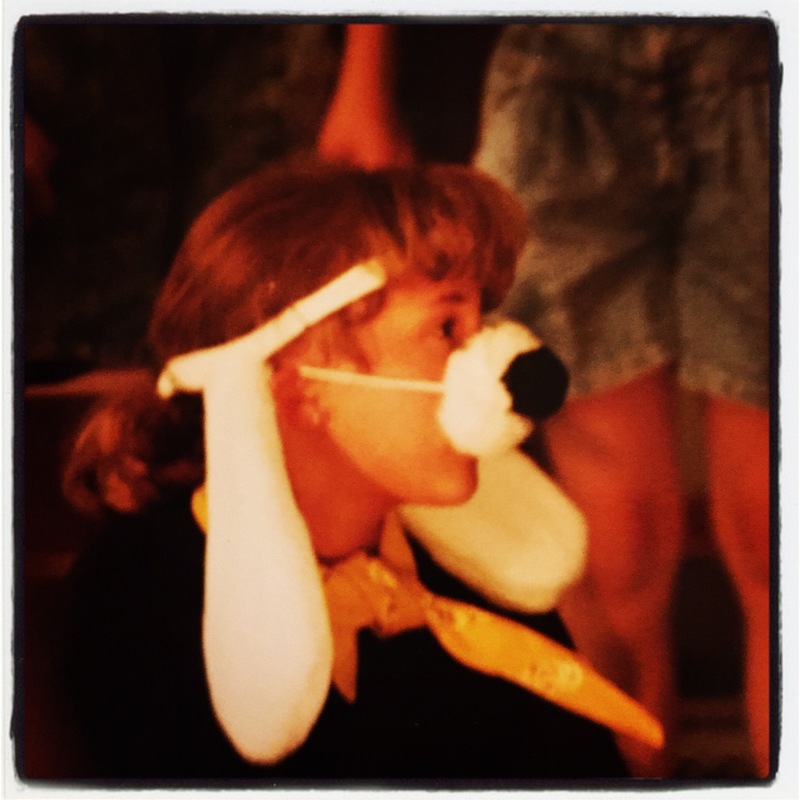 When I was twelve I played a spotted dog in my church’s holiday musical. I ran up the aisle of the old Presbyterian Church on my hands and knees, howling, and barking. I was a confident, loud dog. I loved my costume’s fleecy ears and the black sweat pants and knee pads. It never occurred to me to be embarrassed by the casting – Blooper was the most coveted role in the play. My stardom was fleeting; the singing songbook stole the show and I never appeared on stage again. It turns out I’m tone deaf and my sense of timing is frightening – I still can’t believe I was allowed near musical theater. Leaving the stage was a no brainer. My departure from church life took a bit longer. In retrospect, I stuck around so long because of the Blooper effect. The Presbyterian Church on Main Street in Miles City, Montana was familiar and comfortable. In the 80’s it seemed like everyone in Eastern Montana went to church on Sundays. The Catholics were in and out quickly, the Mormons stayed all day, and the Presbyterians sat in the back of their beautiful stained glass chapel for exactly one hour. My family went to church early for Sunday school and singing. We stayed after church for weak coffee and sugar cookies in the Narthex. My mother attended church circles on most Wednesdays and I went to the church basement for youth group and rubbery lasagna. But church looked different after Blooper. Most teenagers hate church, so maybe my dissent was normal. As my experience of world widened, the messages I heard at church and from church friends no longer seemed so solid. I found myself caught in circular arguments about diversity and acceptance – about certainty and concrete answers. I read about Buddhism in my AP humanities classroom. I celebrated Hanukkah with two of the seven Jewish people in Eastern Montana. I studied Catholicism and Lutheranism in Presbyterian Sunday school. I was enamored with a world of possibilities outside of my own experience. And almost without knowing it, I made a big decision about my natural approach to the world: I learned to value healthy skepticism. I now know that my skepticism was no accident. 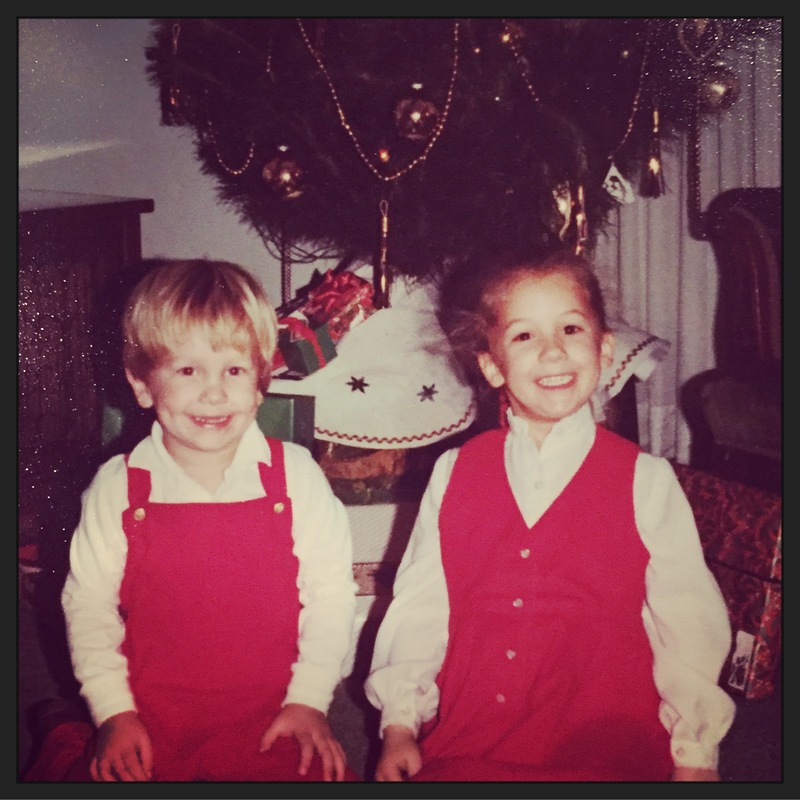 My father set himself at the task of raising skeptical children – his quiet, unobtrusive faith highlighted life’s gray areas. My mother voiced her opinions as only her own. She was careful to give voice to lots of different ideas, “Some people believe…” she’d say before she suggested some alternative view of the world. This couldn’t have been an easy way to raise a teenager – I argued at every turn. And ultimately, my need for supportive skepticism led me away from American Christianity. What I am just now realizing is that the comfortable cultural community that was the 1980’s church, has changed for much of the country. All too often, it seems that skepticism and doubt is not tolerated by most faith communities. If patience for doubt exists, it is temporary – a momentary separation from an inevitable truth. But shouldn’t healthy skepticism be at the heart of faith? If we are to accept and trust that which we cannot see or touch, shouldn’t we consider all of our options? Shouldn’t we find our way to church by way of understanding and thought rather than fear? For me this is the only certainty, the only thing I know for sure about church – I don’t always need my questions answered, but I must have the opportunity to ask them. I want to wallow in skepticism, to sink into doubt, and find the solid ground beneath. I cling to this idea of action. It exists without the church, without the rules and regulations that disallow skepticism and doubt. And it may be enough. Christina Rossetti’s words, set to music by Gustave Holst remind us that much about winter is unforgiving. She is, of course, writing about the winter of northern Europe and North America, and not about the Christmas of the Middle East or Australia, but for us who live in these latitudes, winter is often bleak. I remember the first winter I spent in Wyoming, and how I looked out of my window at what seemed like a moonscape. It seemed that there was “snow on snow, snow on snow.” In pioneer days, people who died in the winter often remained a cold corpse in someone’s barn until the ground was thawed enough to dig a grave. So when the first snow fell this November, I looked out the window with trepidation. It was still half-dark. The sun had not fully risen, and the buffalo in the pasture across from my house all wore thick white shawls. My heart sank a bit because we have had such a beautiful and warm fall, with the colors lasting weeks longer than usual, but at the same time I could see the beauty of the fresh snow, the way it caught in the branches of trees, the way it covered the lawns that had faded to brown. Contrast is necessary for our spirits. We need the snow, and the ice. We need the diminishing light so that we can rejoice in its return. I know that in another six weeks, the sun will begin, once again, to rise earlier and set later, but right now, the late afternoon darkness makes me want to crawl into bed at six o’clock. Long ago, I lived in California for two years, and for two Christmases, I experienced warm days when I wore shorts and worked outside. I didn’t live there long enough to learn to appreciate the subtleties of the weather, the almost imperceptible changes in the seasons. For me the jasmine was always blooming, and it rarely rained and it felt odd, as if the world I knew were slightly off balance. We talk about life-cycles, birth, death, rebirth, leading again to death and rebirth. Sometimes where we live reinforces these cycles. We feel them in our bones as we turn up the heat, hunker down in from of a fire, but even when the climate doesn’t tune itself to our spiritual cycles, they are there. We must go through the dark times in order to see the light. Sometimes the light in our hearts returns slowly; sometimes it bursts out like a sudden sunrise, lighting our world with joy. 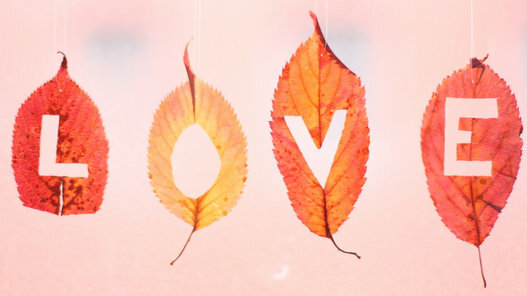 I need to remember to give my heart over to the seasons and cycles of my life. I need to rejoice in the snow as much as in the fall sunshine, or the summer’s warmth, to feel within me the recurring life, death and rebirth that all our human lives entail. When we think of communication, we think of speaking to others, but one of the most important kinds of communication is the kind we have with ourselves. I’m talking about that inner voice that is often negative and tells us things like “you’re a bad writer” or “it’s all your fault that…” Fill in the blank with any bad thing that has ever happened, and there’s that inner voice. Experts agree that we tend to remember negative things more than the positive ones, so it’s really no surprise that our inner voices become riddled with negative messages. Our inner voices often lie to use, though. They really can’t be trusted, and there is the problem. When those messages interfere with everyday life, and when those messages become damaging, that’s when we have to tell them to stop. That’s when we have to work to change the negative messages. You are a valuable woman and human being. These messages help govern how I speak and act towards myself and to others. It’s a cliché, (but clichés become clichés because they’re often true): You must first love yourself before you can love others. This one is no different. It’s true…and somehow, I managed to learn it, lose it, relearn it, and then lose it again only to find it once again. This time feels more final, though. I think I finally believe it. I finally believe that I am worth improvement…that I am worth my own time. I finally believe it enough that I take the time to exercise and I take the time to repeat my mantras to myself. And on those days when I forget, I feel it…I feel the anxiety creep up. I feel it in the barking voice that speaks to my friends, and then I am reminded…I forgot to say my mantras. I forgot that I don’t have to fight for meaning or self-worth or to prove my self-worth to others. I am enough, and that inner voice who says otherwise can just shut up. Every day I am provided a choice: be happy or don’t be happy. Some days I let the choice be made for me, and I let frustrations take over, and I allow them to make me unhappy. Then, I am reminded of the simple things in life: the well-written phrase, the eager student, the sun shining off the ice crystals in the snow, or my puppy’s accepting brown eyes. These help me find my happiness and to let the anger and frustrations go. I have to focus on what makes me happy; this focus changes my inner voice. It no longer tells me I’m nothing. It tells me I am worth love and worth having a happy life. It tells me to hang on. It tells me that things will be better, and that things are not all bad. It took work to get here, and believe me, I’m not done yet, but I’m better. 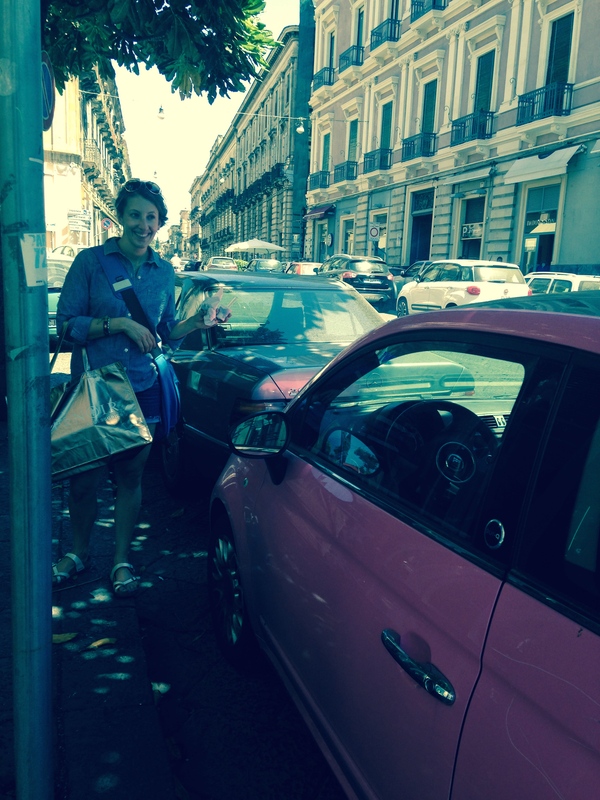 When my car died in a parking lot near AciReale, Sicily, I did what seemed logical and called by husband. He drove thirty minutes from his office on the Navy base to pick me up. I left my car unattended despite the gas station attendant’s insistence that it was “molto pericoloso” next to the fuel tankers stacked three deep on the side of the road. I made Cody drive me to the mechanic in the city who spoke no English, but always bought me a café and called me “Bella.” Giuseppe offered to go get the car later in the day, but Cody and I were worried about my grandmother’s old Chevy Cavalier, so we drove back up the streets of AciReale with the shop’s long, gray tow rope. 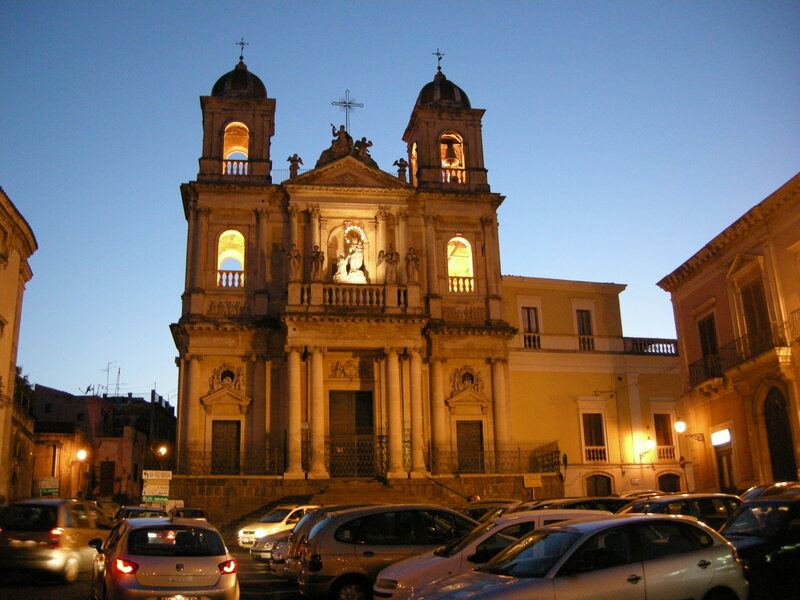 AciReale is an ancient city famous for its wild Carnavale held every spring since the 1500s. The narrow, cobbled streets wind through 16th century churches and modern apartment complexes. 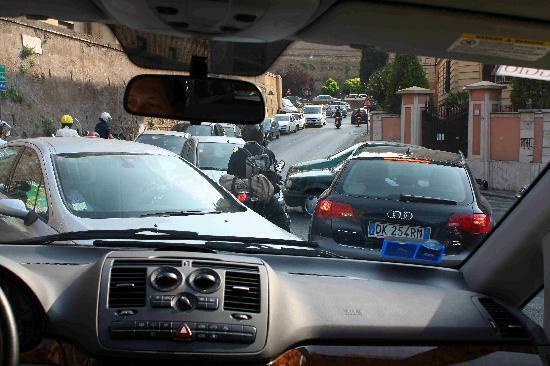 Most corners are blind and in some places cars pull into driveways to let downhill traffic pass. Every road climbs up and away from the sparkling Ionian coast. It’s picturesque – and a traffic nightmare. As we pulled into the Agip gas station, men in blue coveralls watched us stop Cody’s white Fiat next to my car. They shook their heads as we looped the tow rope between our two cars. I was grateful I couldn’t understand the dialect – they clearly thought we were crazy or stupid. Maybe both. Cody and I didn’t speak. Instead we grunted and huffed at each other, the anger and frustration simmering to near boiling. This was a rushed, unfamiliar operation; one that we needed to be done with, now. As I started the Fiat’s engine, I noted the tension building in Cody’s neck as he reached into the car for a bottle of water. His khaki uniform looked out of place in the dusty, hot parking lot. He was supposed to be behind his desk, not under my car. Cody is at home almost anywhere, but a flight squadron suited him especially well. Military communication is systematic, predictable, and direct. You give orders. You follow orders. He was trained to work quickly and without question. Cody can size up a situation before I even recognize what is happening around me. His hyper-awareness served him well in the cockpit and in his work as an operations officer, but it sometimes made life with me frustrating. I started down the road back to the city center pulling Cody and the old Cavalier by the gray rope. The road was just wide enough for passing cars and I hugged the concrete wall as passed the Tabbachi and the fish man. I could hear Cody shouting instructions. He pounded his fist on the steering wheel as I swerved to miss a cart of artichokes in front of the corner grocery. The rope between the vehicles swung low and drug against the stones of the street. I hit the gas hard on to the floor of the Fiat, but the car didn’t move. I downshifted and tried again. Nothing. I looked in my mirror and saw Cody rushing to get out of his vehicle. The rope was stretched taut between the cars and the air smelled like burning rubber. Cody stalked toward me, his hands clenched at his sides. My car was in the middle of the intersection, but the traffic still buzzed around us, squeezing up and over the tiny sidewalk. My mouth gaped. I felt my head swivel on my neck. The rope between the cars was frayed and stretched, almost broken. The old cobbled road was marked with black. An old woman stood on the corner shaking her handbag at us and yelling in Sicilian. She backed up along the tiny sidewalk, desperate to get away from us. “What is happening?” I yelled back. The story spilled out: the old woman had walked between our cars. Cody watched her think it through: she looked at the rope. She looked at my car and then at Cody’s vehicle and then back at the rope. She stepped over just as I pulled into traffic. The rope went tight, caught a foot, and sent the woman flying, her shopping bags stretched out in front like paper wings. “How could you get that so wrong?” he said. I’m not sure which words failed more that day in Sicily. Every time I think about the old woman on the corner, I gasp for air and then laugh – we were so lucky we didn’t hit her with our oversized American machine. But I also remember how clearly I heard Cody’s instructions – and how wrong I got them. The funniest part of the story though was Cody’s reaction, labeled so quickly and accurately: situational awareness. Somehow he found the perfect words.